Pens are writing utensils by definition but they can be so much more! 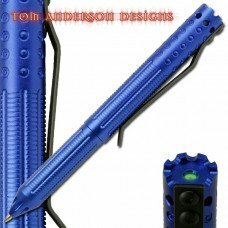 We all use pens and pen sets daily; why not use a quality pen at an affordable price? CKB carries everything from light up and ballpoint pens to wood and brass pens at wholesale prices. Why pay retail for a quality pen when you can by them wholesale at a fraction of our competitors costs. Whether you are looking for an executive pen or a novelty pen we have the pens to meet your needs. Choose from our eclectic selection or writing instruments, you are sure to find something you love.